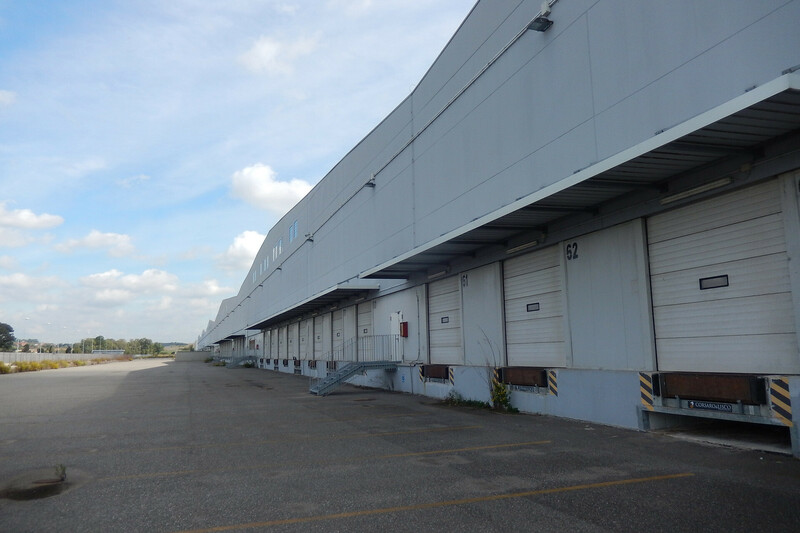 The renovation of building C1L1 holds strategic importance when put in relation to Fiumicino airport, and in relation to the large dimensions of the building, about 560×110 m.
The planned work is aimed at the recommissioning of the logistics building following substantial subsidence, which, starting from the construction date affected the internal paving, generating unsuitable conditions that then led to its decommissioning. The “refurbishment” of the building aims to restore its viability through the construction of new flooring and the provision of the main building services. The total cost of the work is about 20 million euro. A laser scanning survey accurately reproduced the altitude profile of the existing structures, allowing a precise quantification of the excavation and demolition volumes. 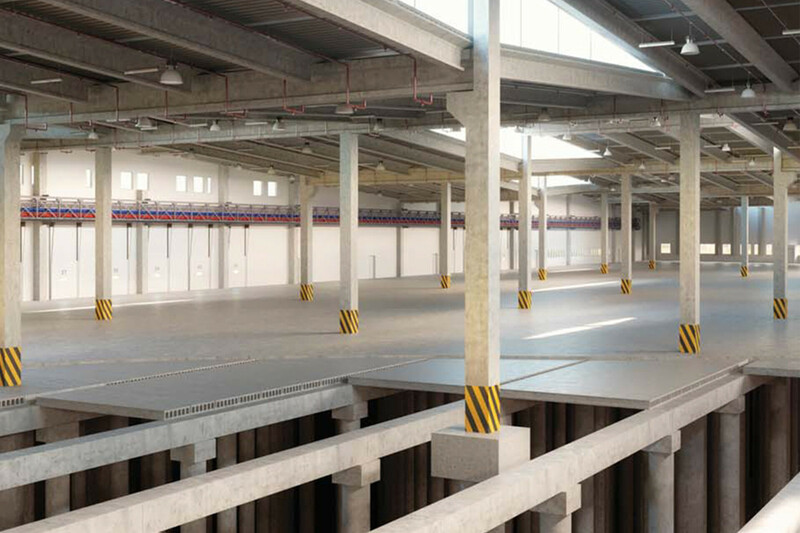 Detailed geological study of the subsoil led to a structural solution that envisages a new floor which will be a prefabricated deck set on bored piles each 40 meters long. The planned interventions brought back an area of approximately 62,000 square meters, characterized by highly aesthetic and functional qualities, in a strategic location within the airport logistics district of the city of Rome. SCE Project was involved in the full service design (architectural, structural and MEPF) for the concept, developed, technical and construction design phases in the Project Management and construction management. 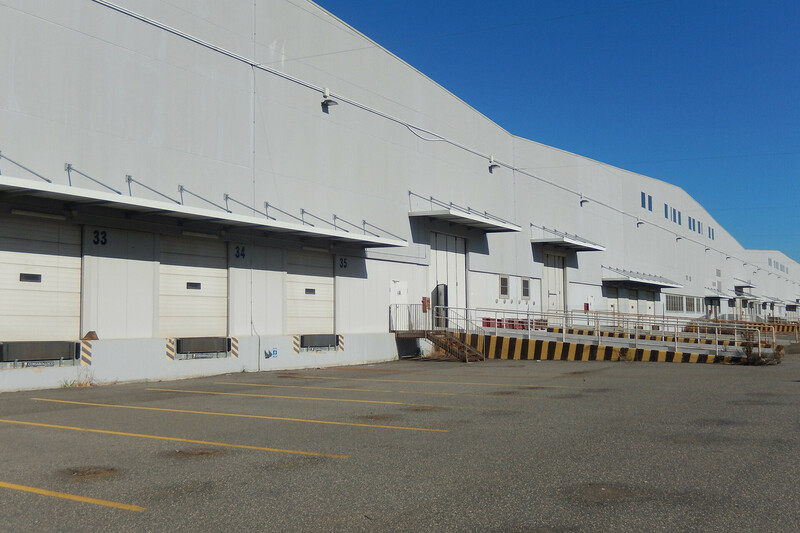 SCE Project has been involved in the full service design (architectural, structural and MEPF) for the concept, developed, technical and construction design phases, in the construction management and in the Project Management. 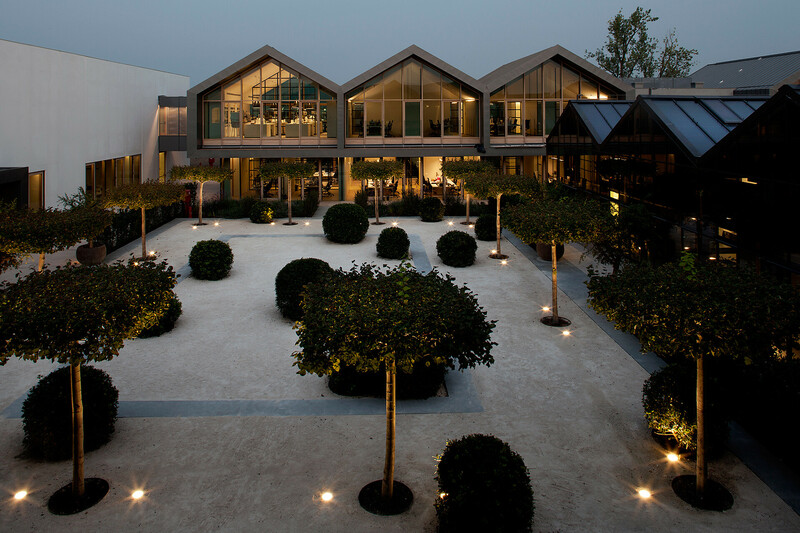 Design Architect: S.C.E. Project S.r.l. Services: Architecture, Construction Management,Bim&Data Management, Geotechnical Engineering, Integrated Design, Project Management, Structural Engineering.